Jack van Ommen’s personal story about sailing around the world in his 30′ wooden sailboat is an inspirational saga. It concerns how one man’s determination and his abiding faith in God transformed extreme challenge and dire circumstances into a life-affirming adventure. The author’s self-effacing style relates his experience with grace and a genuine humility. The details, often quotidian, are the stuff of everyday life at sea, and yet, beneath their occasional banality lies the undeniable reality of a solo sailor willing to place himself at the mercy of Nature’s greatest forces. That he accomplished this eight year voyage in his seventies, with very little money and armed only with his strong belief, makes ‘SoloMan’ all the more extraordinary as a testament to the power of the human spirit. Jack van Ommen’s ‘Soloman’ is much more a personal account rather than the story of adventures on the high seas in a small boat. Nevertheless it’s an inspirational story for ocean cruisers as Jack van Ommen is not a yachtsman that follows trodden paths. He visits extraordinary destinations and even when he visits places well known to the cruising community he finds something special in the local people, culture and religion. This is an unusual book about an unusual voyage that is not (yet) finished. The author, Dutch-born US citizen Jack van Ommen, emigrated to the USA in 1957 when he was 19 years old. Following an eventful career in the timber trade and an equally eventful personal life, he decided to embark on a solo voyage around the globe in his 30ft plywood sloop Fleetwood. When departing he had two specific goals in his mind: the first was to revisit Vietnam, where he served in the US military during the Vietnam War; the second to visit the ancestral home in Lemmer, the Netherlands, where his mother’s family originated. The generations-long family trade was mast making, and in the early 20th century the business was moved to Amsterdam, where Jack and his twin brother grew up. 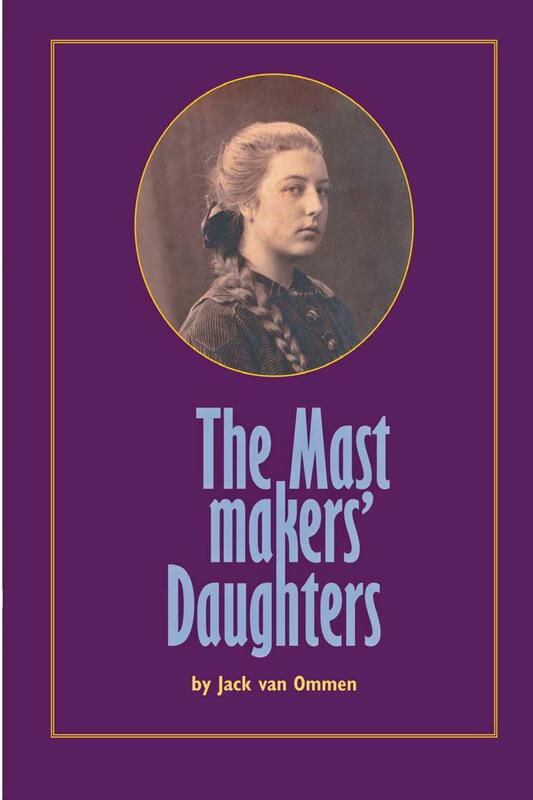 He previously wrote a book about his mother and her family called The Mastmakers’ Daughters. So at an early age he was exposed to woodworking and seafaring, and his love for sailing and being on the water started at that time. Jack began his voyage in 2005 at the age of 68, claiming his personal motto to be ‘around the world before I’m 80!’. What followed was an ongoing saga of sailing exploits starting in the Pacific, including parts of the ‘milk run’ as he calls it, but also quite exceptional detours to the Philippines and Vietnam. Following his Pacific exploits Jack crosses the Indian Ocean, goes around the Cape of Good Hope, visits Brazil and sails via the Caribbean to the US East Coast. From there he sails to the Netherlands via the Azores and France, and secures a winter berth in a small Amsterdam marina, the place where he had learned to sail as a child. After visiting the former family home in Lemmer, he decides to continue his voyage by taking the inland route to the Black Sea via the Rhine and Danube, a new adventure in its own right. From the Black Sea, via the Mediterranean and the French and Belgian rivers and canals, he returns to the Netherlands for a second overwintering period. In 2013 he returns to the Mediterranean via the same route in order to continue his circumnavigation. Instead he is shipwrecked on the small island of Tagomago off the Balearic island of Ibiza, miraculously escaping with his life although Fleetwood is reduced to matchwood on the rocks. This is where his book starts – and ends – a good appetiser to learn more about his travails. What struck me was the on the one hand rather casual style with which he describes his sailing adventures, and on the other hand the genuine human interest he clearly possesses and practises. His Christian faith is undoubtedly an element in that, but is not his prime motivator for making contact with other people, fellow yachtsmen and local inhabitants alike. He is a good observer and also capable of ‘winning hearts’. This blend of personal characteristics and writing style to my mind makes the book special, the unusual voyage simply adds to that. Finally the photographs – good even in monochrome – with which it is illustrated add much to the reading experience. Jack van Ommen maintains an interesting blog at www.ComeToSea.us. He is currently living up to his personal motto by re-equipping a new and identical Fleetwood in his homeport of Gig Harbor, Washington, USA. By the time this edition of Flying Fish is published he expects to have started a new voyage.